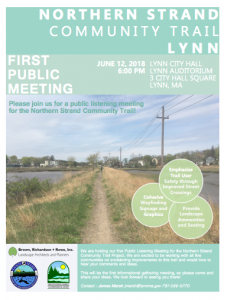 Lynn – Trail Design Public Meeting – Bike to the Sea, Inc. 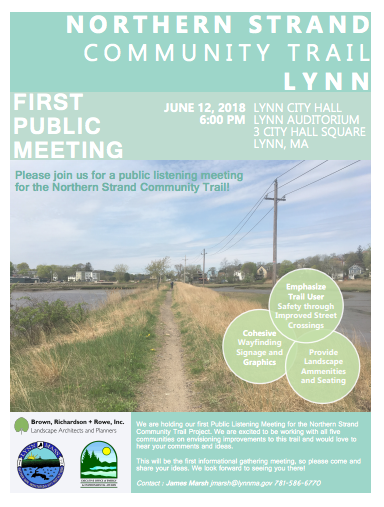 The Executive Office of Energy and Environmental Affairs and the City of Lynn are holding its first Public Listening Meeting for the Northern Strand Community Trail Project. EEA is excited to be working with all five communities on envisioning improvements to this trail and would love to hear your comments and ideas. This will be the first informational gathering meeting, so please come and share your ideas.